We use this page to let you know about events when we haven’t heard about them in time to get them into the paper. You can also see the events listed in the current print edition — click on Events, then Current Edition on the menu above. 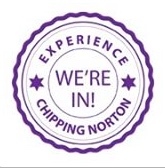 If you know of any events that could be featured in the Chipping Norton News, please contact the editorial team by email at chippymail (at) aol.com, with as much notice as possible.